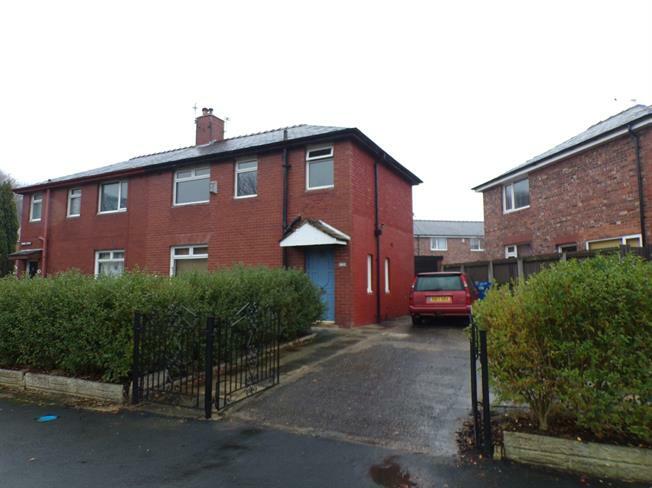 3 Bedroom Semi Detached House For Sale in Wigan for Offers Over £90,000. Entwistle Green are delighted to offer for sale this three bedroom semi detached home. The accommodation briefly comprises of entrance hall, lounge and modern kitchen. To the first floor there are three bedrooms and a family bathroom. Being situated on a corner plot the property boasts gardens to the front side and rear and offers off road parking. Early viewings for this well priced family home are recommended to avoid disappointment.